I drive an electric car. I related my impressions after the first four months with my Nissan LEAF in an earlier blog entry. 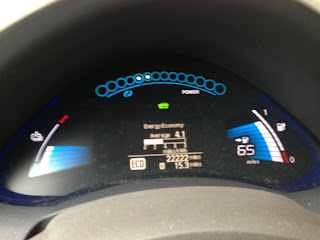 After over two years and 20,000 miles, I’m convinced more than ever that electric vehicles (EVs) are the future. While there certainly are improvements I'd like them to make, I don’t see myself buying anything other than an electric car in for the foreseeable future. To read the rest of this blog entry, please visit its new home on Principled Technologies' Tech Everywhere.